Brunswick Vending Machine Companies, Vending Machine Suppliers in Brunswick Ga. Vending Machine Service Companies in BRUNSWICK GEORGIA! 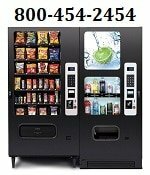 These Brunswick vending machines suppliers offer Vending Machines: Snack, Soda, Combo, Food, Frozen, Healthy Vending, Micro Markets, Coin-Op Amusement Games, Repair services for your employee breakrooms! Able Remanufacturing & Vending Repairs – Our Company is based out of Conyers, GA.
A&M Equipment Sales – We sell New and Used Vending Machines! Complete online catalog, also repair parts. Vendors Repair Service Inc sells and repairs coin changers, bill acceptors and PCB Boards from Mars Electronics, MEI, Conlux, Maka,Coinco, Ardac, National Vendors, Automatic Products, Debitek and others. Based out of Tucker, GA.
POST YOUR COMPANY ->Get New Business!